The years 1874 through 1895 saw intense class struggle, much of it centering on the railroad industry. 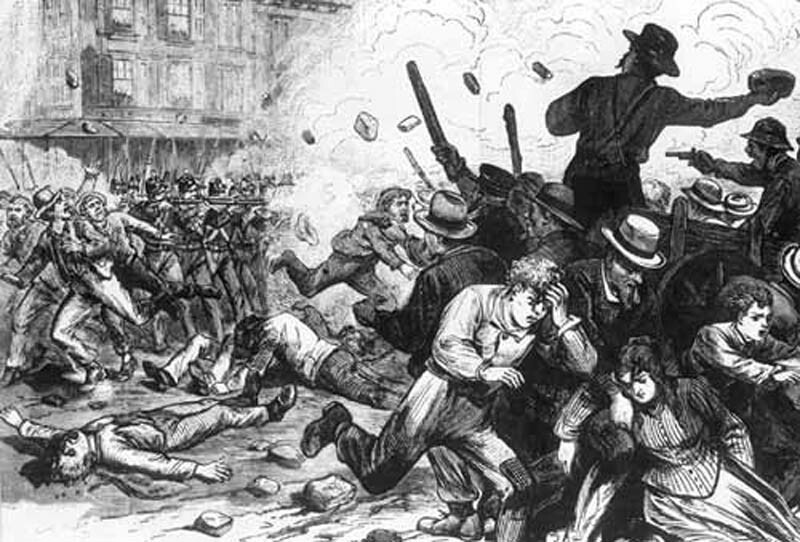 This struggle often took the form of working class self-activity, action organized by workers from the bottom up and carried out independently. Railroad workers did not wait for instructions or guidance from labor leaders, who often advised caution and conciliation with capitalists, but took action themselves. Trouble on the Railroads in 1873-1874: Prelude to the 1877 Crisis? I spent a while writing this and it is by no means completely done so I would appreciate constructive criticism and other feedback to help me if I decide to do another draft. Also, can a mod make the changes allowing the picture to be shown? Any chance of a text version? Maybe. It's gonna be really annoying to format it, for some reason the footnotes aren't showing up. I also don't know how to indent things or make the text smaller for the block quotes. Are you having trouble with the PDF? More I just don't like pdfs on my phone. I can read them fine but then I have to go delete them later. First world problems. Thanks, looks great! What an interesting period—Strike! by Breecher was the first I had read of these struggles, so I look forward to reading this. Good work comrade. tastybrain - to indent block quotes, use the < blockquote >< /blockquote > tag at each end of the paragraph you want to indent (minus the spaces within the <> of course). You'll also need to set input format as "normal - some html allowed new" - just post here if you don't have that option. I realize the piece is really long...readers who are only interested in the strikes might want to skip the historiography section. I just read your piece. I'm writing a book that includes a substantial analysis of these strikes. If you see this comment would you please get in touch. I would like to cite you and want to know if you would give me your name. Quite a good analysis. Thank you for writing it.